"Great solution for a fair price. You are the experts! Your..."
By Susan & Rick W.
"Terry was the perfect team leader. Everyone was very..."
A large home in Charlevoix, MI has their nasty crawl space waterproofed and encapsulated. Concrete settling will only get worse the longer the problem is left unresolved. To raise the slabs, PolyLEVEL uses a unique blend of polymers that raise the slab to its original position. Larry called us with a crawl space in need of a makeover. With winter approaching, now is the time to secure your house against the elements, and that's what we did on his project. After installing the Clean Space vapor barrier system to encapsulate the crawl space and protect it - and the house above it - from the ground's ambient moisture, we added SilverGlo insulating wall panels. With these two changes, not only will the crawl space be protected from the ground below it, but the house will be protected, keeping floors warmer and energy bills lower. Sump pump and foundation assessment. Need residential cement sidewalk leveled approx. 1"
Crawlspace repair. Insulation is ripped and vapor barrier needs to be repaired. Manufactured house. We have a crawl space that needs to be encapsulated. Sidewalk raising Approx. 5ft wide x 30ft in length. ... lowering heating costs and improving the indoor air quality as the "musty" and damp smells of the crawl space are now gone....We would recommend the system to others without reserve. Denise F. Cottage Point Dr.
Great solution for a fair price. You are the experts! Your processes and customer service are outstanding! Ty and crew were wonderful! Thank you to our salesman, Dennis James, for working so hard with us. For 35 years we have helped Charlevoix homeowners and businesses with their foundation repair and basement waterproofing needs. With the decades of service we have successfully completed hundreds of waterproofing and foundation projects throughout Michigan & Indiana, including Charlevoix. We provide foundation repair, concrete leveling, crawl space encapsulation and basement waterproofing. Experience - 35 years and hundreds of successful projects. Patented Products - proprietary basement & foundation tools. 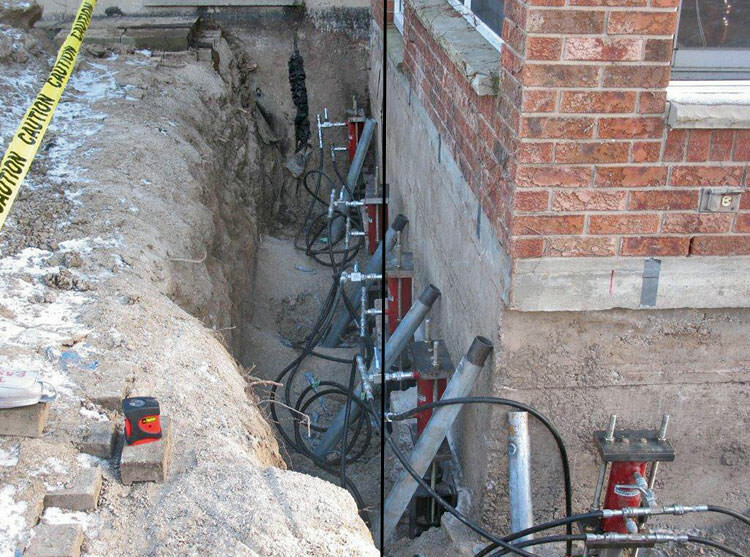 Armed with experience, expertise and the right tools, we offer permanent solutions to basement and foundation problems. Give us a call at 1-844-262-2971 for a free home inspection and no-obligation cost-estimate. Water or moisture in your basement or crawl space leads to mold and eventually to rot. Mold is dangerous to you and your family's health and rot is dangerous to the structural integrity of your home. Ayers Basement Systems protects your home from these dangers using a patented and proven waterproofing system. Our complete waterproofing systems comes with a transferable, lifetime, dry-basement warranty. We are members of Basement Systems, the international network of waterproofing contractors. As members of the network our specialists receive advanced training and certification as well as access to patented basement waterproofing products. We install an interior drainage system complete with sump pump and back up sump. The systems is hidden but keeps your basement permanently dry. 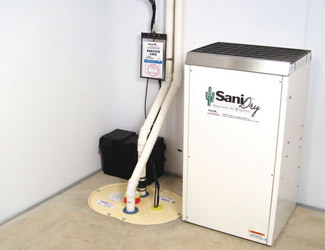 The addition of a specially designed basement dehumidifier prevents mold growth in the space. We protect your crawl space using a similar waterproofing system. The crawl space is encapsulated with insulated matting and a thick vinyl vapor barrier that runs along the floor and up against the crawl space walls. A crawl space sump pump and dehumidifier are added to complete the system. Water is kept out of the crawl space, mold and rot are prevented and the floors above the crawl space are kept comfortable. Foundation problems are serious issues that need to be corrected by a skilled professional. Ayers Basement Systems is Charlevoix's skilled professional. We offer permanent foundation repair and restoration services. If you have a sinking or settling foundation, we use foundation piers to drill down to load bearing soil. Depending on the exact issue you are facing, we may use helical piers, push piers, slab piers or helical deck piers. We can also correct bowing basement walls using wall supports, wall anchors or sprayed concrete. We can even fix sunken floors over your crawl space with crawl space jacks. Whatever foundation challenge you face, we have a solution. We use an updated mudjacking technique (aka slab jacking) to lift and level sunken concrete slabs. We drill small holes in the sunken slab and inject PolyLEVEL, a polyurethane foam beneath the slab. The foam expands to fill all the gaps beneath the slab and lifts it back to its original position. The foam is much lighter than the traditional mudslurry used in this process. This means less stress on the bearing soil. PolyLEVEL also cures in hours rather than the days mudslurry takes. We offer the best concrete leveling services for homeowners and businesses in Charlevoix. Careful work allows us to install shotcrete without eliminating the functionality of doors and windows. It doesn't seem like there are many solutions when foundation walls begin to crumble - but shotcrete creates a solution by allowing us to create new walls in place. This messy crawl space was losing air through the rim joist, so we used FrothPak spray foam insulation to seal it. This Charlevoix, MI homeowner was interested in an effective French drainage system that would keep water out of her basement. The first step to eliminating water in this basement was to install a TrenchDrain, which is used to collect any water from outside that could leak into the home through an exterior door. A section of the flooring was removed to place the drain, which has large openings to make sure water easily enters, rather than flowing out onto the floor. WaterGuard was also installed, which is a perimeter drainage system that ensures any water that could enter the home through the walls or floors is collected and drained into the home’s sump pump. For this installation we removed a small portion of the flooring around the perimeter of the basement to place piping that water will filter into and then exit the home. Any water collected from the trench drain directly filters into the WaterGuard system to make sure the basement is completely protected. Water comes in basement at base of floor during heavy rains and snow melt. Also comes into floor crack. Looking into interior drain system/sump. We have a crawl with about 49" of headroom. We have high water table here and get seepage at the floor/wall joint. We want to get a below floor French drain installed. We already have a sump that this can be routed to. There is about 160 linear feet around the inside walls of the crawl. Please let us know if you can help, give us a rough cost and when you would be able to do the work. Thank you. Basement wet from seeping rainwater. Mold from moisture and foul smell. Unusable space.